​As we age the youthing mechanisms in the skin slow and become sluggish. This in turn causes the signs of aging. AQ Skin Solutions are products formulated to reverse the signs of aging in regards to skin, hair loss, eyebrow and eyelash thinning and even vaginal health. Skin Growth Factors are very specific proteins that are chemical messengers between cells. They signals the cells to increase cellular turnover and increase the production of fibroblast cells, (the construction workers of the skin) to increase the production of collagen and elastin and provide the youthful cushion and tightness to the skin. Growth Factors create a healthy communication environment for the cells for regeneration to create healthier skin and a more youthful appearance at any age. Growth Factors increase the growth of new blood vessels ( angiogenesis) and strengthen the vascular network. This in turn provides improved pathways for nutrient and oxygen to be feed to the cells. Decreased growth factor production slows down with age as the fibroblast activity of the body slows and there is a decline in the number of fibroblast cells. This results in a decrease of collagen production which is directly linked to the wrinkling of aging skin. When the collagen cushion flattens, the resiliency of the skin diminishes and there is little resistance to the formation of deep wrinkles (grooves) in the skin. There is no spring. Skin then thins and droops and age. The face falls in fattening around the nose and eyebrows. 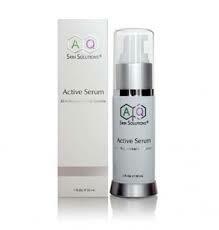 AQ Growth Factors are the signals the cells need to lift and uplift the skin to provide and open full face expression. Growth Factors counteract the thinning of the epidermis and dermis and treat photo damaged skin, skins that have lost tone and elasticity and work to even skin tone and fade pigmentation marks by returning the skin to a more youthful functioning state. regulate and reduce inflammation so they are excellent for acne, rosacea skins and skin flare ups influenced by stress and unregulated immune responses such as psoriasis and eczema . There are over 500 articles that discuss topical application of Growth factors in Regenerative Medicine, Wound Healing and Anti Aging therapies. No published articles regarding any negative effects. 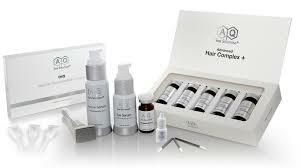 AQ Skin Solution’ Growth Factors Technology act locally and do not enter the blood system. They are not hormones. 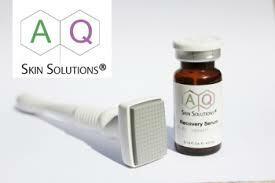 The AQ Skin Solutions Recovery product is the most powerful anti-aging and wound healing serum in the world. It has an unmatched potential to minimize old and new scarring including chicken pox marks and uneven ridges to the skin caused by acne or photo damage and stretch marks. The suggested and preferred application of AQ Recovery is to use the Derma Stamp for optimum control in creating micro channels for product penetration. The Eye Serum reverses the puffiness darkness and other signs of aging around the eyes including fine lines and wrinkles. It breaks down the bilirubin, the dark circles, which is the result of the breakdown of hemoglobin in red blood cells which causes the slow leakage of blood into the underlying skin. 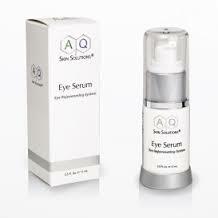 AQ Eye Serum also strengthens the vascular network to optimize oxygenation to the under eye area. Uniquely designed to promote longer, thicker, darker lashes and brows, AQ Lash is a safe and natural serum formulated to restore the health and vitality of eyelashes and eyebrows by naturally encouraging hair matrix production. 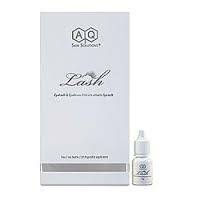 With regular daily use, AQ Lash may help to achieve fuller, longer, and more youthful-looking lashes and brows with less breakage and without the undesirable side effects commonly associated with other lash enhancing products. ​VRS is a breakthrough solution for vaginal rejuvenation. VRS can help women achieve heightened vaginal sensations. VRS is formulated and designed to hydrate the interior vaginal walls helping to restore the body’s natural vaginal function and create a tightening effect, thus allowing more sensation and youthful resilience to an important part of the body.